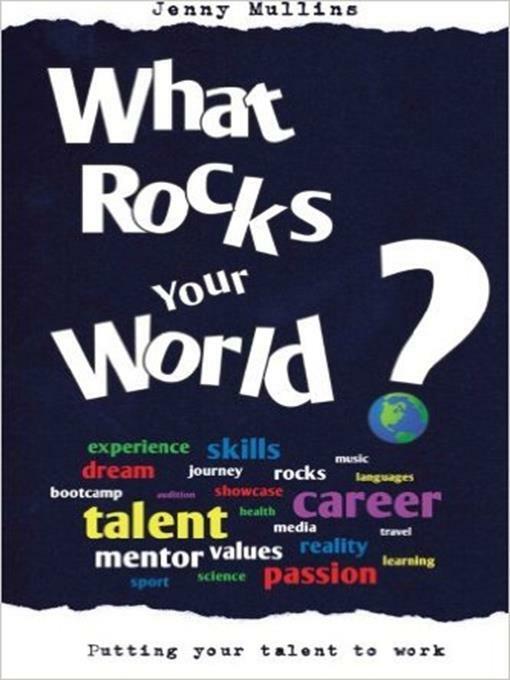 What Rocks Your World is a unique career guide written for all young people by experienced careers adviser Jenny Mullins. Using the talent show format Jenny guides you through each stage: Just Me - Find out what is important to you. Discover the secrets you have about your hopes and dreams. Audition Stage - Start to act on your ideas and interview those around you. The Audition Stage contains suggestions and top tips. Boot Camp - It's time to get serious. Boot Camp has a wealth of Information about part-time jobs and applying for courses. It shows you how to write a great CV, make applications and get a mentor to support you as you go for your goal. Showcase Final - You've made it and the judges want to see you. So follow these tips to shine in front of your audience. So what are you waiting for? Find out What Rocks Your World and put your talent to work.